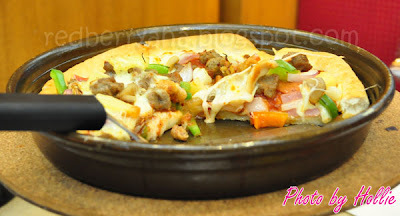 My hubby and I went to SM City Cebu last week and had dinner at Pizza Hut Northwing. It's been a while since I last ate at Pizza Hut, so we ended up going there after buying groceries. I think this is their Garden Pizza, I'm not entirely sure though. The Tomato with Herbs at the center is just Delish! It tastes like Strawberry Soda. But it looks really pretty. 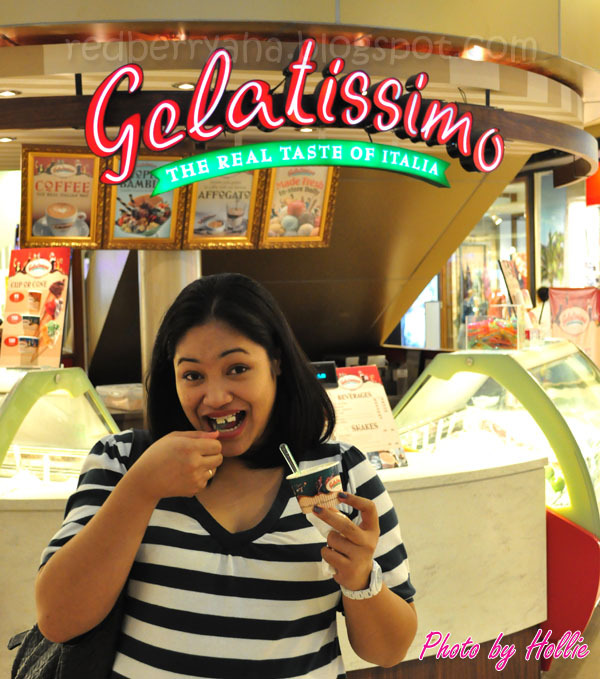 I had Gelatissimo's Biscotino and Pistachio for Dessert! I love their mushroom soup too haha! cute mo sa last pic hehe! @Dee, LOL! give up ka nalang! 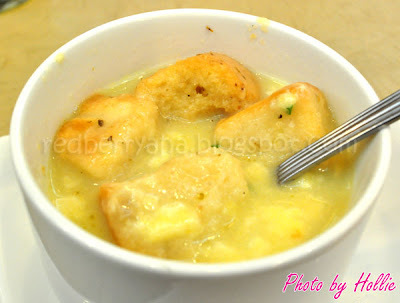 @MissKatv, mag dinner ka na! go go go! @Sugar Sugar, me too I can't have enough gelato! I haven't been in Pizza Hut for years! mmmmm all of the food looks so good!!!! T.T That strawberry soda is epic! yum yum! seriously, i'm going home and having a shirley temple! the next time we'll visit pizza hut, im gonna try that bread with tuna bread! love the photos hollie! especially the shirley temple! so cute! @Amy, hehehe thanks, you should give pizza hut a visit one of these days. @Oh to be a Muse, thanks for the invite, I appreciate it. @Reina, yeah, give the tuna melt a try and remember to put the tomato herbs on every bite! 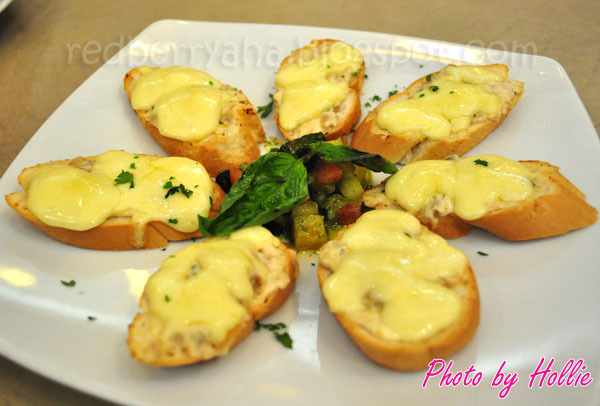 @Jessy, Yes, we do have the cheese filled crusts available here in Phils. and it's just yummy! thanks for inviting me to your giveaway. @Hazel, Thanks sis! so true, that shirley temple is just so pretty. @Everyday Makeup blog, so true, I really do love their Pizza, I'm not sure though if that tuna melt is available in the US. @The Beauty-Addict, hahaha... I really wasn't craving pizza at the time but I missed going to pizza hut. @Charry, they're both really yummy, I agree with you though, I prefer thin crust pizza too!